A couple that I freelanced for, designing ads and catalogs, had been remodeling a tiny house, so I just had to get over there and get a tour. 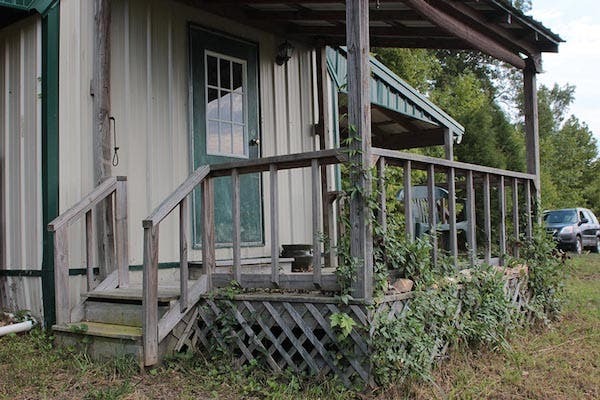 Wow, they took a 12 x 24 ft. building with a loft and parked it on their property, added a front porch and two permanent overhangs that are used as a cook out area on one side and a place to park on the other. 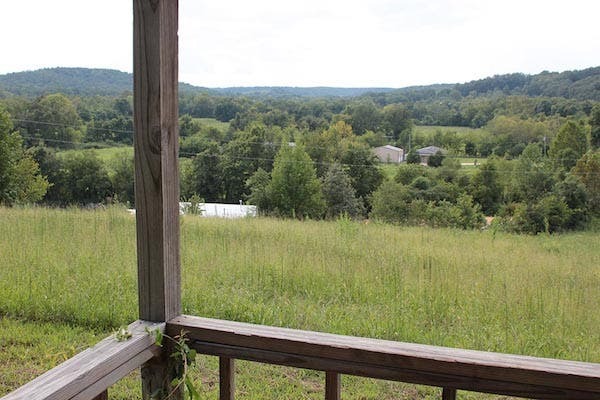 The little house has a stunning view of the valley below it. 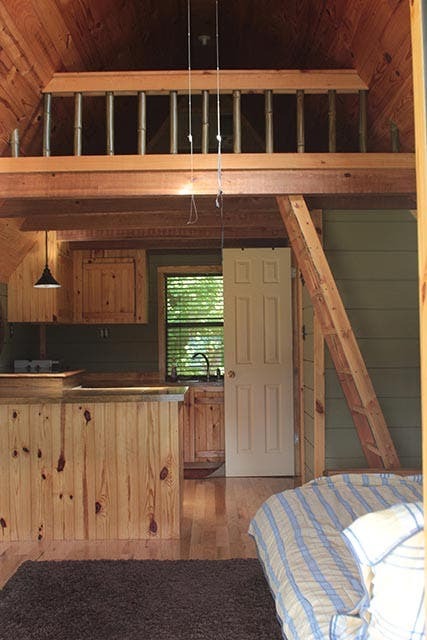 Once you open the front door, you see the kitchen and loft stairs ahead, futon couch to the right. 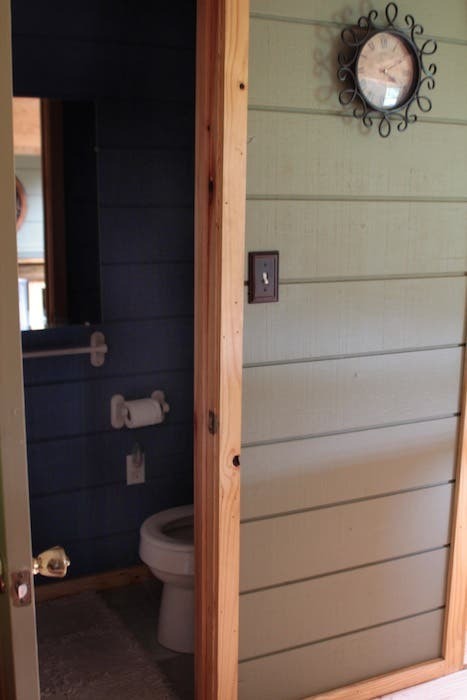 The open door is the door to the bathroom. An armoire sits to the left. I believe it stores clothes and the TV. The kitchen has a bar where two stools are placed. Another view of the futon just inside the front door. It is used as a second bed when not used as a couch. View of armoire just to the left of the entry. The kitchen is super classy with recessed lighting, a full sized double sink, a small fridge and a four burner cook top which is raised up above the wooden counter top by about 3 inches. It looks like it was to make room for the mini fridge below. 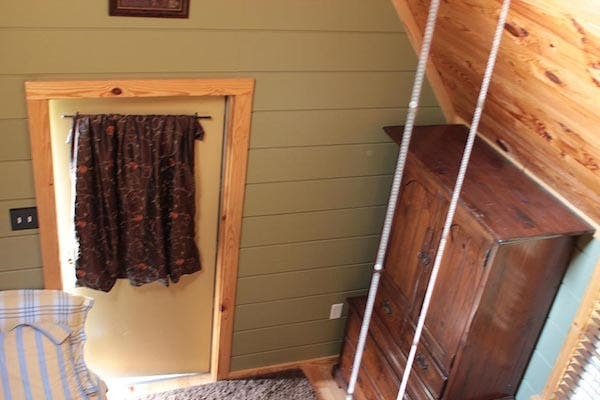 The bathroom below consists of a regular toilet and a built-in stall shower, mirror, and no sink. Shower to the left and toilet to the right. The loft ladder stands permanently on an angle, out of the way of traffic. I love the design. 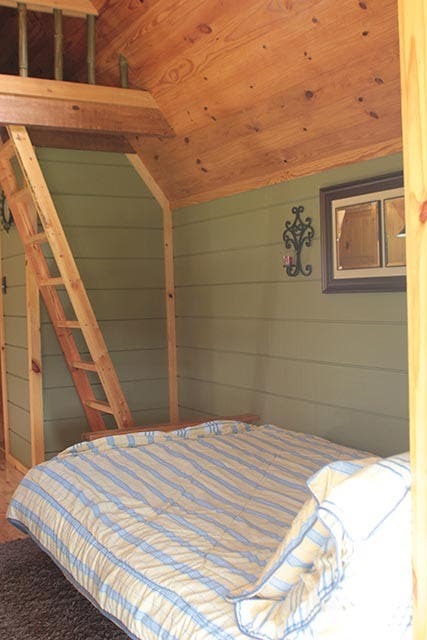 There are only two wall windows and one skylight in this tiny house. It is very bright inside! 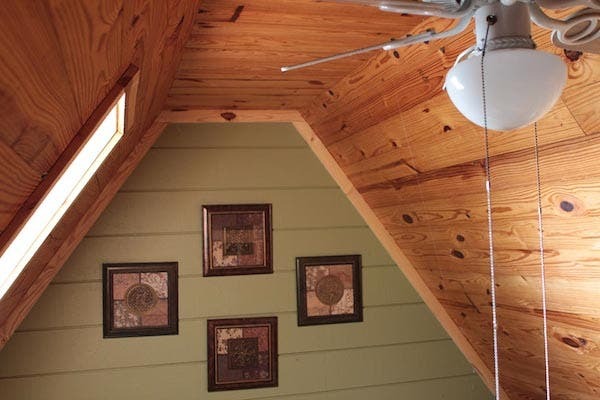 Below is the view of the skylight from the loft. And next, a view of the front door from the loft. Nice use of paint and hard wood. There are no lights in the sleeping loft. 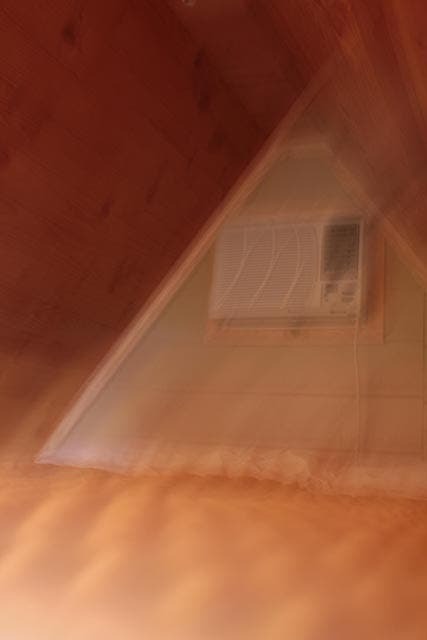 A through-the-wall AC unit cools the entire house in the summer. Sorry that the picture is so bad, I must have been trembling with delight over this tiny place! 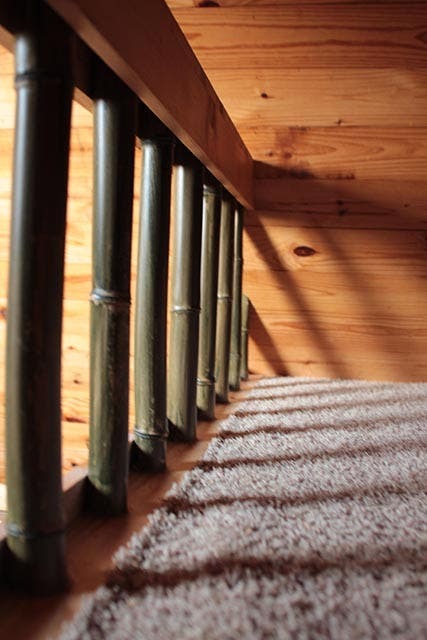 The loft railing made from local bamboo and painted dark green. Below a view of the porch. Note the bamboo shade that keeps out the intense sun when needed. A view from their valley. 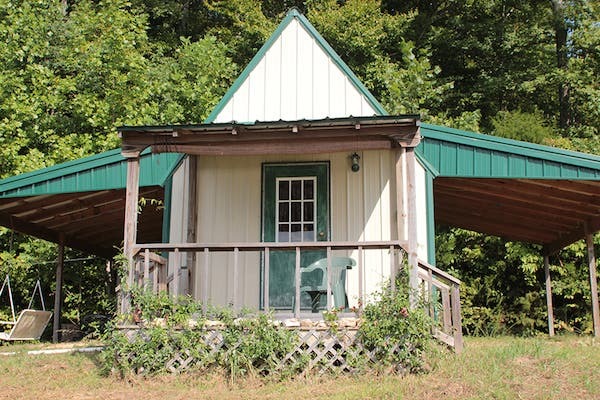 My friends sometimes rent this tiny house to employees that work at their herb/supplement business (MoreThanAlive.com). 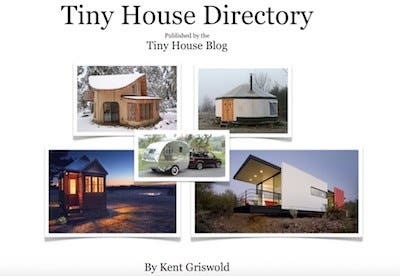 They have two other tiny buildings that comprise their office and small warehouse and could easily be turned into living spaces in the future. This story would not be complete until I give a shout out to the couple that did the remodeling, a husband and wife team, Marcus and Ester! Wow Kent! I’d b trembling with delight as well! What a beautiful little house. Simple and welcoming. Wish I was there! K???? Nice layout, But could use a couple more windows, for ventilation if nothing else.. The kitchen is much nicer then we usually see, but there is a trend that they mostly all have the same layout. I watch the tv show treehouse and ask myself why they can take something small in sq. feet and even sitting up off the ground and those dwellings are beautiful. They have style, live in quality and usually have luxurious bathrooms and magazine like sitting areas. 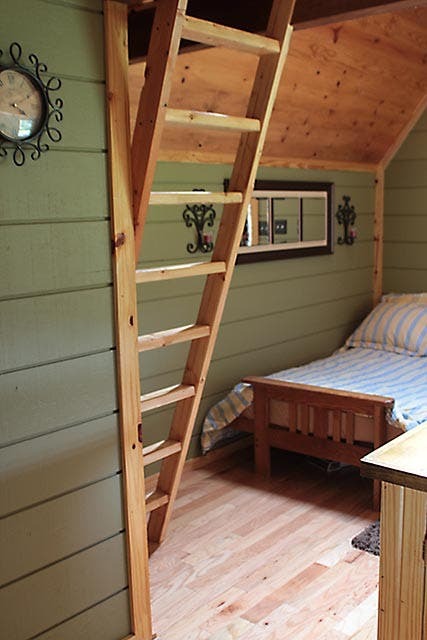 I want to go small but know I can not do a loft ladder bedroom, and I certainly need a place to my quilting. Is there a reason the roofs aren’t raised higher for a larger upper space? I too like this ‘feel’ … for me it’s the wood grain.. especially effective use of pine(?) as a light making tone as well as the tones of soothing green. Hugely cool use of the verandah with it’s delicious expansive overhangs . I easily see the convenience of the twin side barns for pulling in projects… be it a tune up or parking vehicles in heavy weather . Lovely old fashion porch too ! Where the heck did was that two jug water decanter sourced ? I decant from a handled 5 gallon plastic jug-after filling from a water fall.. then lugging back to my vehicle.. Its clearly a chore i cherish for the ‘process’ .. and free pure aqua ! 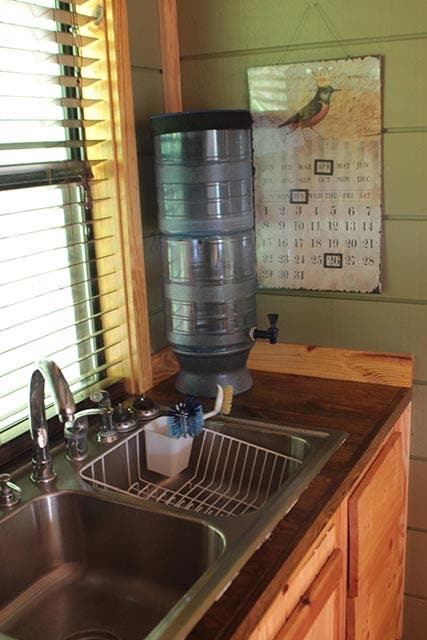 Like this stack arrangement… thought only in a steady ground house not in my camper on the go… unless I could arrange a wall brace..
Hi Canyon, the water system is a Berkey Light water filter. That is correct, Lena! The couple that owns the cabin sells them. I put their website in the article above. Also, the question about roof height is a good one. The height is in proportion to the width. Any taller and the house would be top heavy. This is the nicest one yet!!! 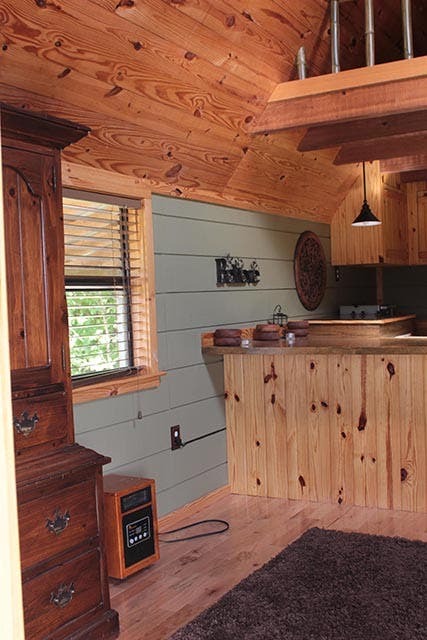 Love everything about this tiny home and with the covered sides it makes it another living space outside. It really is a lovely home and your property makes it even more special. The only thing I don’t like is no sink in the bathroom for washing up “after”. I know space is a factor for sure. Really lovely living space!!!!! I too recognize the need for clean but when space is a factor I improvise. I think a hand held shower head with high and mid-range headrest would suffice. This is my favorite one yet. Bright and great use of space. I couldn’t do the water and would want a sink in the bathroom, but otherwise love it. Love it- very soothing color and use of materials. The only thing I would point out, as others have in other articles, is that a window in the loft would make it safer in case of a fire. But the overall design is wonderful. Who needs …ANYTHING more?? Absolutely PERFECT! Verrrry nice job Marcus, and Ester & lovvve your Berkey too! 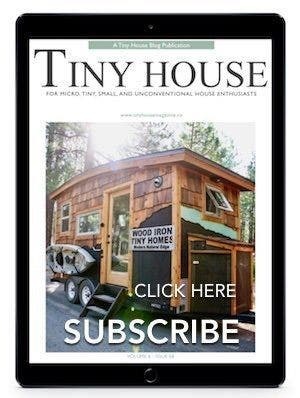 Best “Little House” layout I’ve seen. 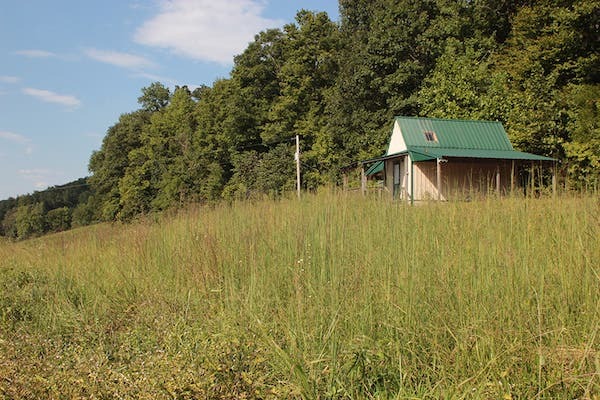 What do you do for a septic system? 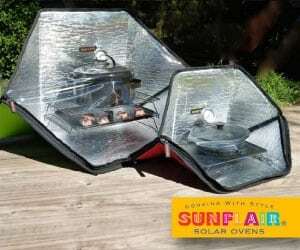 Do you use Solar for power? water? 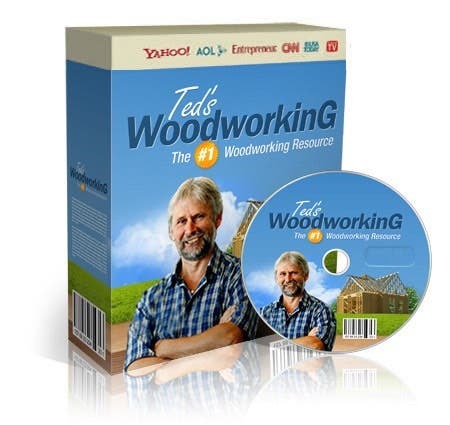 Timo, Thanks for the comments. It is an on-grid system: electric pole and traditional septic. that is the same Berkley water filter I have. I like how you can see how much water you have. Does anyone know what water dispenser brand they have in the photo of the kitchen? If you scroll Backwards, it is the ninth photo. Sorry, please disregard , I just saw the post that answered that. This is so lovely! 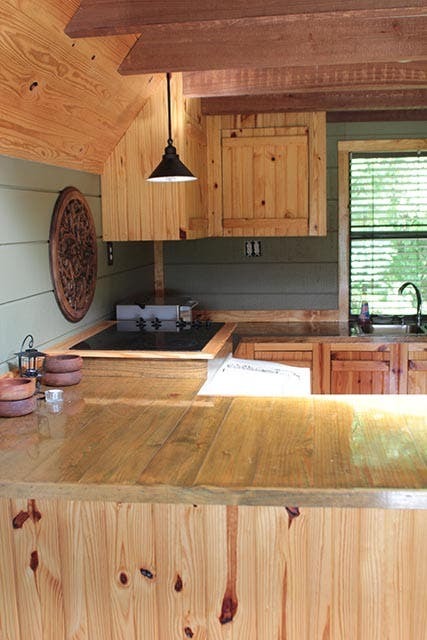 The kitchen is my favorite part…for the same reasons mentioned above. 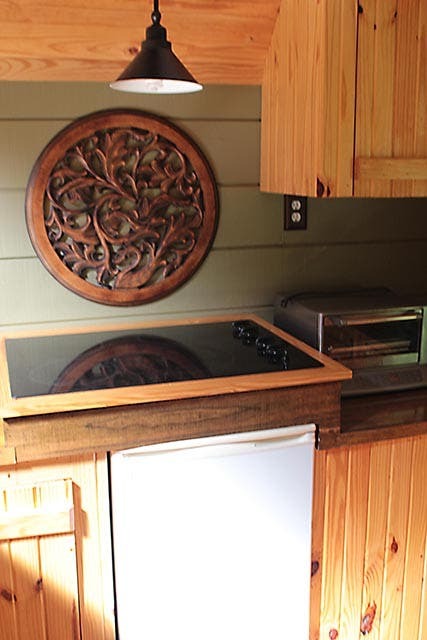 Is that stove for induction cooking? 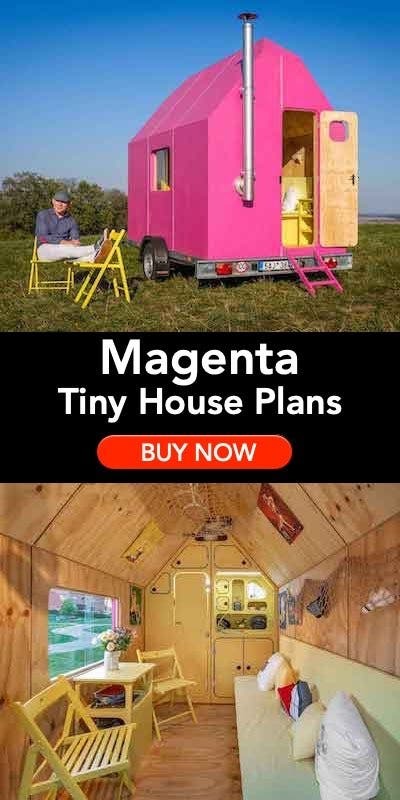 That’s what I want if I ever get into a tiny home. For those who want the overhang to go on the road with them, consider installing a retractible overhang, just like they install on back decks. 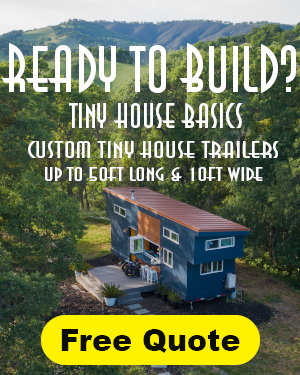 Maybe someone can come up with a special one for tiny houses, and possibly one that is removable. Why so dark ? Oh I get it,that VLAD.As in vampire? A couple of windows upstairs in the ends would be an improvement. I think I will build one similar,14 feet wide. Kind of alot of kitchen,but????? This is absolutely beautiful. I would also add more windows, but it is gorgeous as is! What a view. I love, love, love, the kitchen and the ladder. Did you make blueprints? Are they for sale? Thank you for sharing!